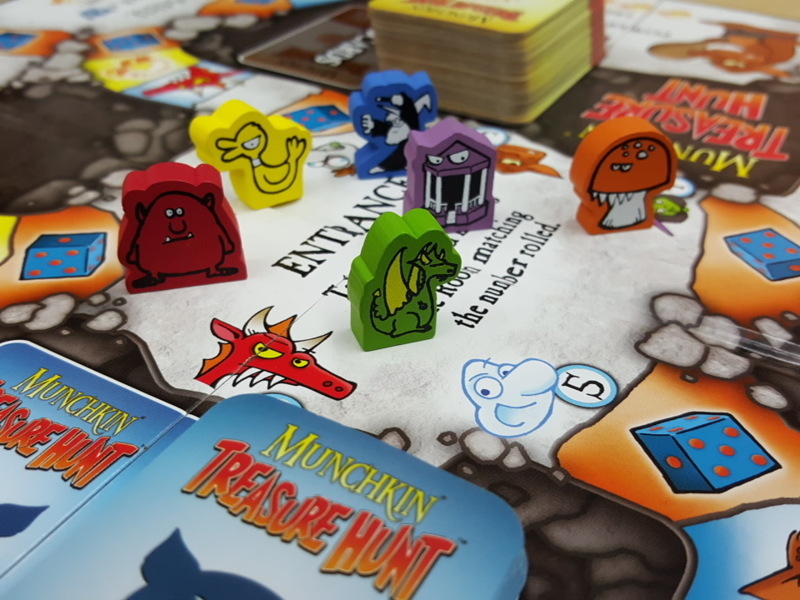 Daily Illuminator: Munchkin Meeples Now Available! May 19, 2016: Munchkin Meeples Now Available! You can say it. You play more than just Munchkin and other SJ Games. It's OK. We do, too. But, we figured, why can't we Munchkin-ize the experience no matter what game we're playing? Enter Munchkin Meeples. These little wooden buddies are your ticket to improving any game . . . even ours. Throw them in Munchkin Treasure Hunt as pawns. Make them your score markers in Revolution! (Use the bigger ones after you reach 100 points.) Or add them to any board game to liven things up. Heck, decorate your desk, dot your dashboard, or cap off a cupcake with them. Visit your friendly local game store, or Warehouse 23 if you don't have one, and order your Munchkin Meeples today! And please, enjoy your meeples responsibly.